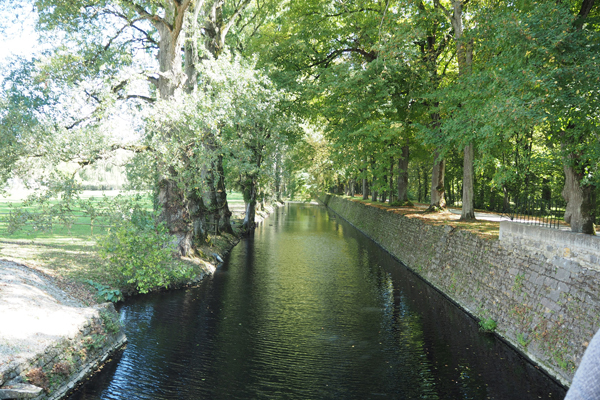 We have visited 9 historical sites and found 2 that are awesome for casual bike rides and one that has the potential but fails miserably. 1. 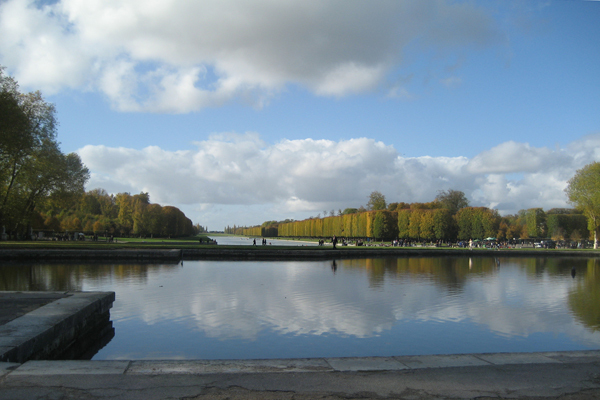 If Paris is your destination, you must pay a visit to Palace of Versailles. It’s only 13 miles/31 km train ride (or bike ride!) that costs about 3.5 euros. 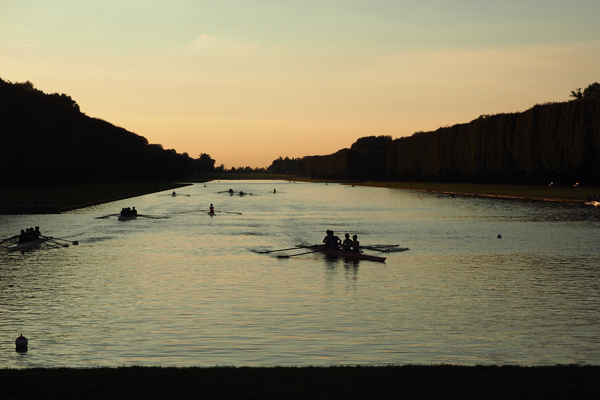 The Chateau de Versailles is an UNESCO’s World Heritage List for 30 years and it is one of the most marvelous achievements of French architecture and art. 3 kings from Louis XIII, XIV and the XVI with Marie Antoinette had lived there until the French Revolution. Looking out to the Gardens and Park of Versailles. This was taken in Oct. 2009 when we were last there (see clouds). 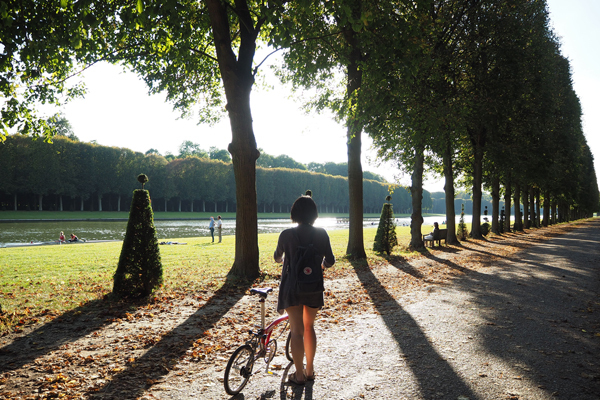 Adjacent to it, are the Gardens and Park of Versailles where you can ride your bike for miles (~6 miles/10 km). It is heavenly and breathtaking! And it’s free for admission. If you don’t have a bike, there’s a bike rental. 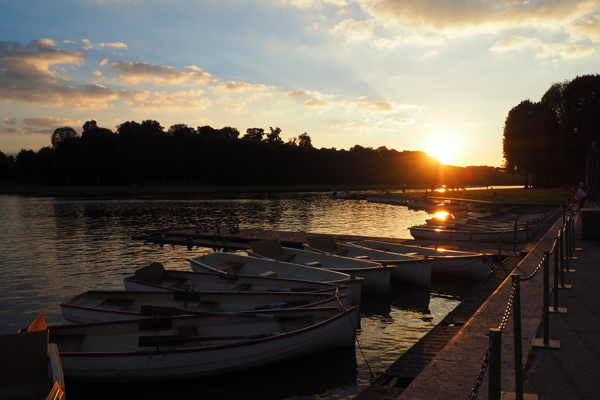 And if you want a different angle of the park, they have boats for rental too. The downside to the bike paths is that some parts are not paved, but quickly you forget about it due to the immense beauty of the park. 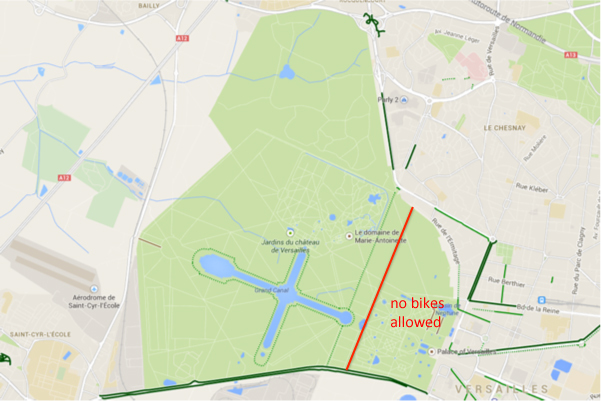 No bikes allowed to the right of the red line, however, it is free for admission to the left of the line. This is where I want my ashes to be spread at. Beautiful! 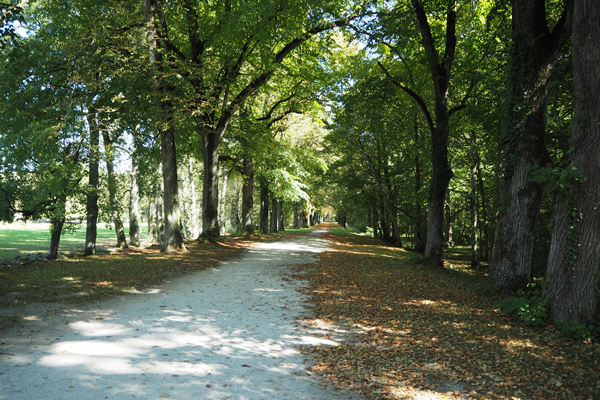 French signature of parks – Groomed trees that are aligned with each other in rows. Image of the lake in the shape of a cross. 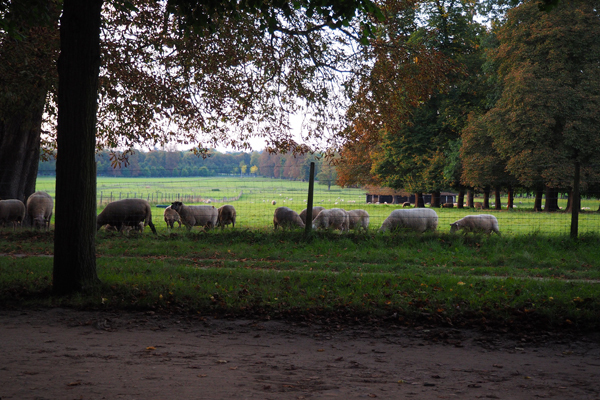 Yes, there are sheep grazing there too. A wonderful experience to see on a bike. 2. 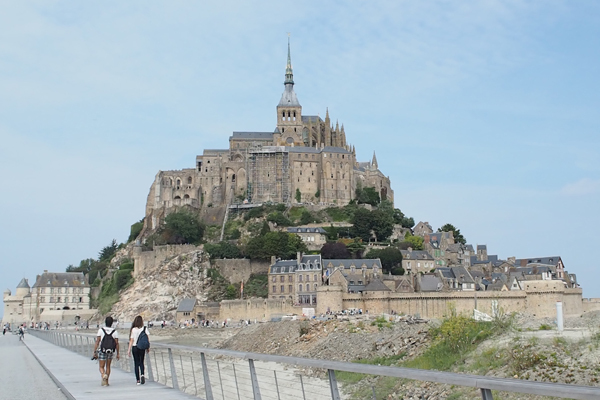 Another epic casual bike ride is to Mont St. Michel, another UNESCO site. It is situated in between Normandy, France on a island when high tides occur. 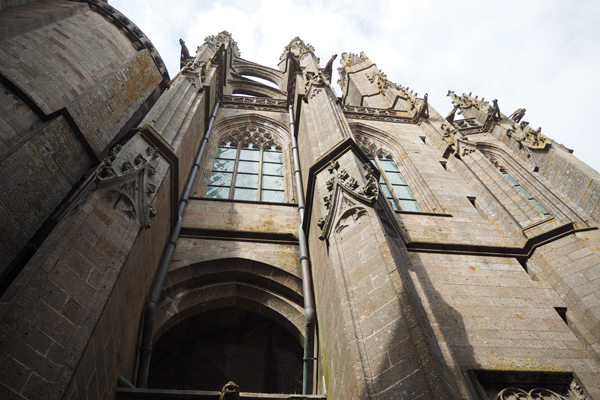 Mont St. Michel started off as a monastery during the 8th century and over hundreds of years became a fortified city. The city of Minas Tirith in the Lord of the Rings, director Peter Jackson used this castle. It is majestic and godly. 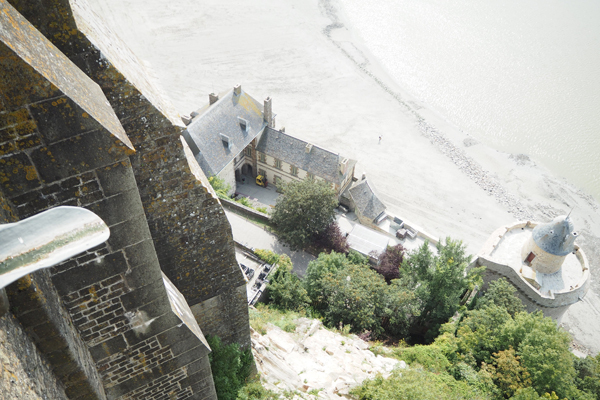 Photo above is a new path to Mont St. Michel. From the car parking, it’s 1.6 mile/2.5 km of bliss riding to the place. As I was riding on this path, I felt as I was on a horse galloping from the danger behind me to safe haven like in Lord of the Rings. It also hosts night events and the place is lit up after dusk. A bike ride to it at night must be amazing! Majestic, magical and magnificent, isn’t it! New path includes tearing down the parking lot which enhances the island effect. Once the new path is completed, I hope they let bikes in and to include bike racks at the foothill. For now, bikes are allowed. 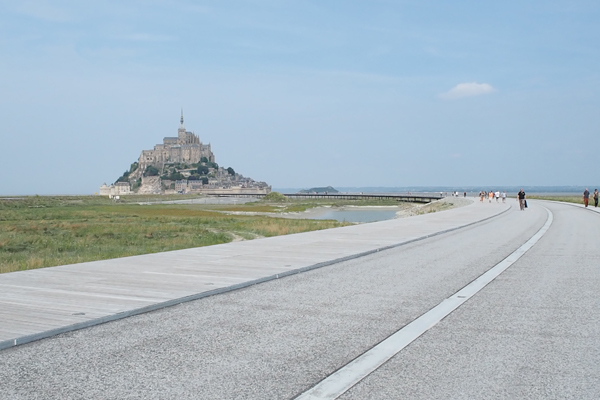 Moreover, it would be wonderful to have a bike/ped path that wraps around the island commune, too. 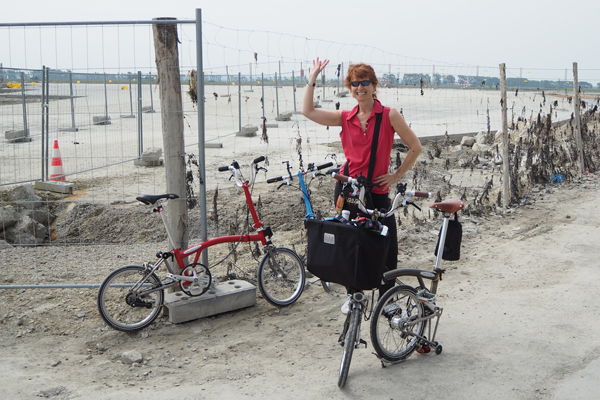 We met a Brompton lover from Barcelona. 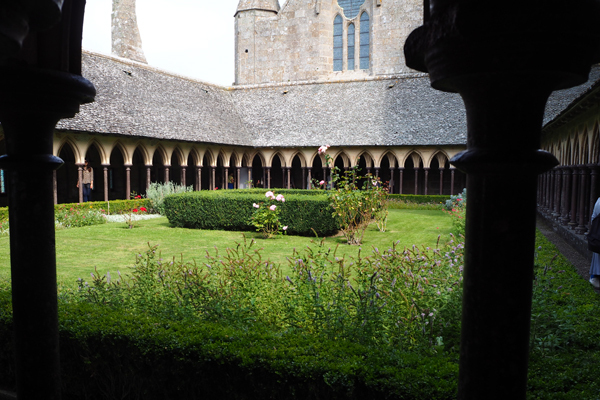 The abbey is really high up and it’s worth the 9 euros admission. Even during the ancient times, people still know how to appreciate greenery. 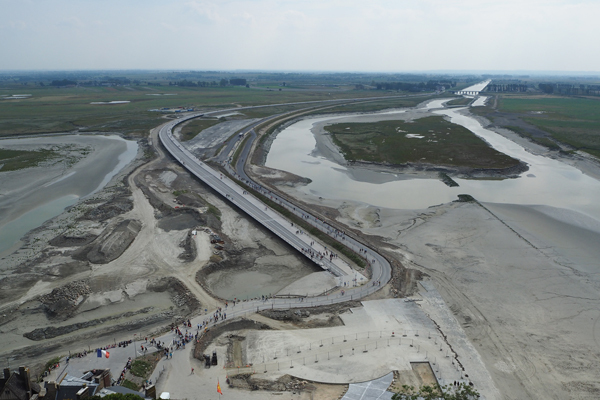 Currently, there are 40 some residents living inside while the site get 3 million visitors, the most outside of Paris. It is pretty packed at the bottom of the castle, but the crowd thins out at the top where cost of admission is applied. 3. 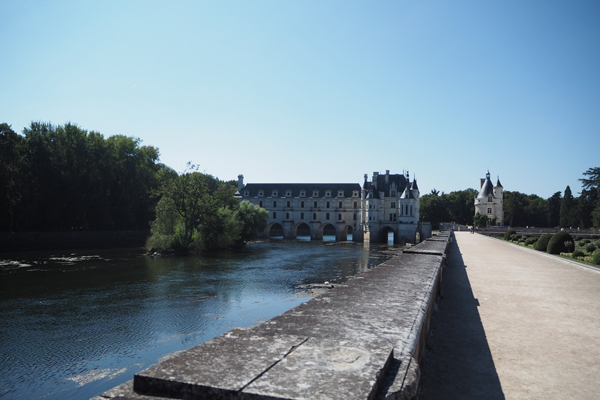 The last but not least epic site to check out is Chateau de Chenonceau in Loire Valley. It’s most visited chateau in France after the Palace of Versailles. 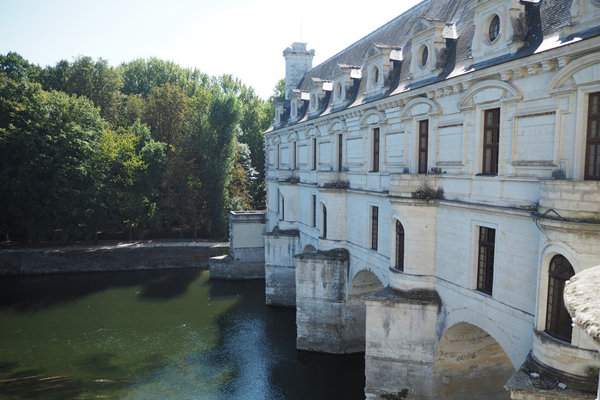 Chenonceau was built during the early 1500s and overseen by 2 different queens, a rich heiress and a mistress, all women. A view of Chateau de Chenonceau from Catherine’s Garden. 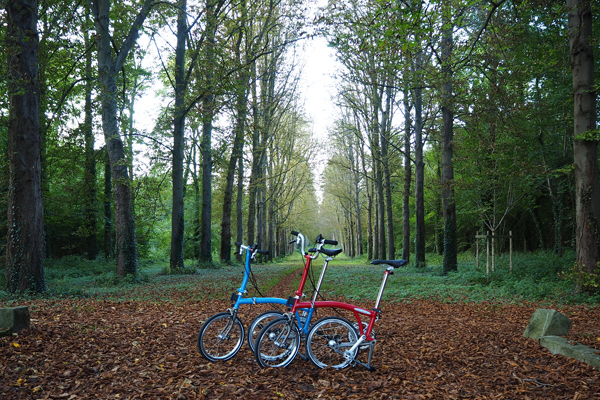 Again, we brought our folding bikes expecting to ride throughout the vast garden of the chateau, but it was a huge disappointment! I understand that some parts of the chateau should only be designated for pedestrians, like Catherine’s Garden, Diane’s Garden and the Maze. 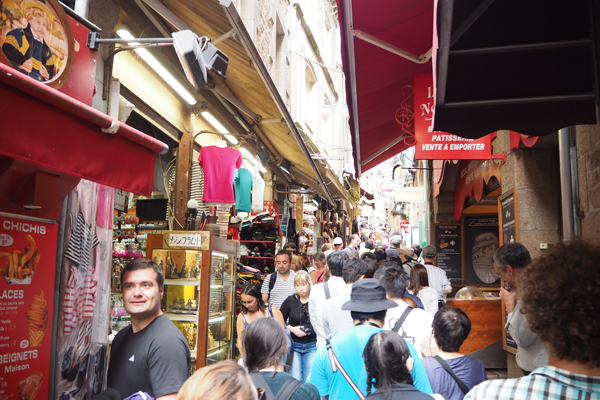 These are crowded places with lots of details to appreciate, so you would most likely want to walk anyway. What they did with the Palace of Versailles is a great example. The Palace and the nearby Gardens are off limits, while the Park is opened to all. 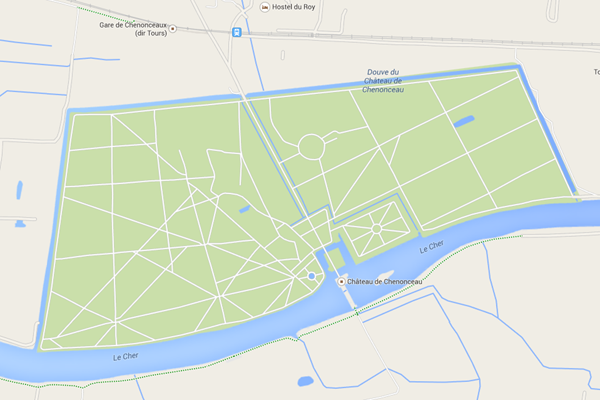 A map of Chateau de Chenonceau – there are many paths potential for an epic bike ride. A huge and beautiful place like this, does the organization of the place expect people to walk throughout the whole area? As anyone knows, biking is quiet and covers large distance, which won’t degrade the emotions and the appearances at all. Bikes are banned from entering and must be parked at the entrance. You can see in the next few photos that most of the paths away from the chateau and the gardens are all empty of visitors. It’s a great shame! 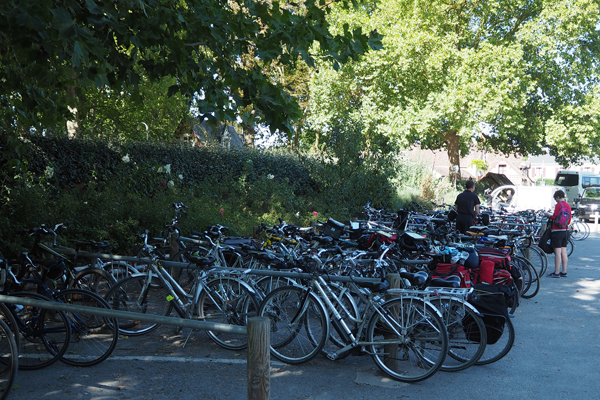 All these bikes are parked outside the Chateau – it’s such a shame! A empty path because no on would walk that much! Another empty path to the right because bikes are banned. Again, another empty path over the Le Cher river. 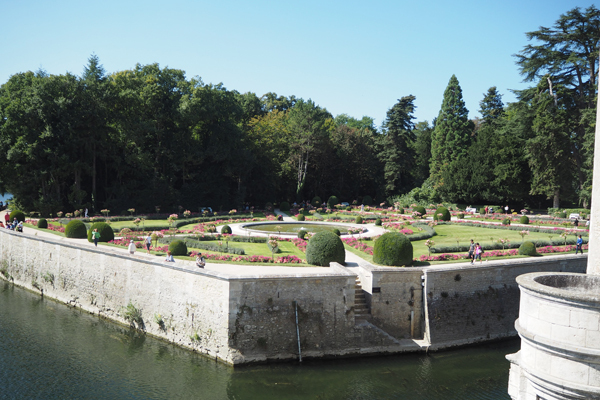 A view of Diane’s Garden from the chateau. To conclude, France is a beautiful country with many huge spaces dedicated to historical monuments and buildings and if bikes are allowed and regulated properly, the enjoyment of these sites would be even more enjoyable.